The simple answer, be safe and gather information. Collect the name of the other drivers along with their contact information, driver’s license number, vehicle tag and insurance information. If there are any witnesses, be sure to ask for their name and contact information as well. Make notes of the location, date and time and take pictures if possible. Note: If the other drivers are not cooperating or refusing to share their information, then you have a problem. You should notify the police and your insurance immediately. Contact the Insurance Company responsible and request a claim number. You will need this number when contacting the repair facility and to begin your repair process. No. The days of gathering three to four estimates is no longer necessary. Repair estimates have become very standardized thanks to computerized databases. If there is a large difference in pricing, chances are the lower estimate has missed damage that will need to be addressed later in the repair process or they have selected non-factory parts. If you have an Insurance Company approved estimate, we can work with that estimate. If we find extra damage or parts that need to be added, we will work directly with your Insurance Company to make sure that your vehicle is repaired correctly. Your insurance company will assign a claim number when you report your accident. Simply write it down and bring it with you on your first visit to the shop. If my vehicle's frame is damaged, is my vehicle a total loss? No. If a section of the frame is bent beyond repair, usually that section can be replaced. Using our state-of the-art equipment, our highly trained technicians can return your vehicle back to its pre-accident state. Yes, we work directly with industry leading paint specialists to ensure that our computerized paint mixing system and database can match your original factory color. Once an estimate on your vehicle has been written, we can give you a time frame to complete the repairs. Specifics that can delay the repair process are parts going on backorder or damage not found on the original estimate. As your repair facility, we will work with the Insurance Company to make sure that these issues are taken care of in a timely manner. Yes, we’d be happy to help. We want to make your repair process as stress-free as possible. Your deductible is established by your insurance policy. The deductible can be waived for various reasons by your Insurance Company. Your insurance agent should be able to explain if your deductible is waived or the amount you will be expected to pay. We accept cash, check and all major credit cards, Visa, MasterCard and Discover.  © Lawton Collision Center – Lawton, OK. All Rights Reserved.